I still get nervous when I preach a funeral. I’ve been preaching for over 20 years now. I’ve delivered thousands of sermons. Sunday mornings are exciting and I look forward with anticipation of stepping into the pulpit. I feel a great burden to get it right. I always want to get a sermon right but, for me, funeral sermons take it up a notch. I want to say the proper words. The family is grieving and needs a word from the Lord. Whether they are believers or not, they need to hear from the Lord. They need to know hope and comfort are available in Jesus Christ. Friends and acquaintances are in attendance. This service might be the first time they have heard a preacher in a long time, if at all. I feel a burden to present God as a loving, compassionate Father. A Father they can find hope in, too. All of these elements weigh on me as I prepare a funeral message. I want to get it right. Last Tuesday (Jan. 22, 2019), I preached the funeral for a longtime friend. She had struggled with numerous health issues, particularly over the past two years. My wife and I drove 275 miles to visit her a few hours before she passed away, but she was already comatose. She was a strong believer, so she is now in the presence of Jesus. Preaching the funeral for a believer, in my experience, is much easier to prepare for. But I was still apprehensive. I still wanted to get it right. I think I did. Last year I did the funeral for another lady, who was in many ways very similar. I took that basic message and personalized it for last week. I want to share that message with you. Of course, it’s not exactly as it came out of my mouth. And it’s not that it’s a phenomenal sermon by any means. But it may give you an idea that might spark one of your own. 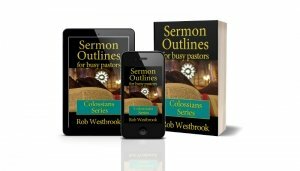 That it might be some help for those of you who feel the same burden when preparing to preach a funeral sermon. I debated whether I should leave this godly woman’s name in the sermon. I decided to leave it in. I do this as a way to honor her memory and her wonderful family. Do you have a good idea or Scripture passage for a funeral? Share it with all of us in the comments below the sermon. For those of you who might like a copy of the message, there is a button at the bottom of this page. Click the button to download a PDF of this sermon. We’re all here today to remember the life of Cindy Hayes. Many people came by last night because Ms. Cindy meant so much to them. And they spoke about their experiences with Ms. Cindy. She’s part of their memory. There are many people here today, too. All of us here today have probably shared something from our lives where Ms. Cindy was involved. We have memories of her. Ms. Cindy’s obituary has been in the paper. That obituary remembers Ms. Cindy. It’s a sharing of memories. Obituaries are unique pieces of writing. It’s a 2-inch wide column of words. Its price is calculated by its length. …We try to record the entire life of a person. We try to highlight our memories. All condensed down to a couple of inches in some newspaper. What can we really learn about someone from an obituary? It’s hard to capture all the memories we have of one person’s life in a few inches of news copy. It’s hard to find the essence of a person in an obituary. What made up their life? How did they approach life? We don’t find that in an obituary. We find that in their life. In the life we remember. That’s what our memories of Ms. Cindy are made of. They’re made of seeing her live. They’re made of experiencing life with Ms. Cindy. As I was recalling my own memories of Ms. Cindy, I was drawn to the life experiences she shared with a Biblical character. I know there are comparisons between Ms. Cindy’s life and the life of women in the Bible. But I think her life was more in parallel with a prominent male Bible figure. Most Bible scholars believe the last writings we have of Paul is the book of 2 Timothy. Paul wrote a very personal letter to Timothy. He touched on subjects that were very important to Him. And he wrote 2 Timothy as a man who knew his time was near. There’s a couple of verses Paul writes to Timothy. Verses where Paul tries to get Timothy to remember what he’s seen in the life of Paul. These verses are 2 Timothy 3:10-11. An obituary couldn’t capture Paul’s influence on Timothy. It was Paul’s life, lived in living color, that made the memories. We can’t sum up Ms. Cindy in a few inches in the newspaper. But our memories are made up of watching her live. And that life she lived is a joy to celebrate. Thinking about what Paul wrote brings memories of Ms. Cindy’s life. There’s so much they shared in common. I saw much of Ms. Cindy’s life in those words. Memories to remember her by. Ms. Cindy was an Encourager. Paul wrote the entire books of 1 and 2 Timothy to encourage his spiritual son, Timothy. As Paul gets ready to leave this world, he still wants to encourage him. That was a mark of Paul’s life. That trait came about because of how she saw people. She saw the good in all people. And she wanted to encourage them to be everything God created them to be. My wife and I were talking about Ms. Cindy this weekend. We were talking about the wonderful attitude Ms. Cindy always had. How you could walk into Liberty Drugstore and she was glad to see you. I mentioned that Ms. Cindy thought more of me than I think of me. Because she saw things in me I can’t even see. Not just a feel-good-for-a-few-minutes encouragement. Ms. Cindy’s encouragement was life-changing encouragement. She had the ability to see the good in you. And talk you into believing it! I would venture to say that every person in this room received encouragement from Ms. Cindy. That’s what we’re here to remember this afternoon. A Godly woman who could make anybody feel they could conquer the world. We’re here to remember the contagious encouragement of Ms. Cindy Hayes. Ms. Cindy was an Endurer. This is where I find another parallel between her and the Apostle Paul. Yet he never lost his faith. He never gave up on God. Ms. Cindy face a lot of challenges in her life. Much of Ms. Cindy’s later life was a challenge. She never lost her faith. She never turned her back on God. She took the things that came at her in life and ran to God. …That was with her every step of the way. This is what I remember most about Ms. Cindy. There are many different single moments I remember about Ms. Cindy. But they’re all wrapped up in this one attribute. Ms. Cindy enjoyed life in all these single moments. She enjoyed because she loved. Ms. Cindy was one of the most loving people I ever knew. Mr. Bobby, she loved you completely. She was so proud of you, Robbie and Susan. Every success you had, she shared. She loved Dade and Emily. But I have to tell you I think she loved her grandkids more, though. Keely, Julia, Reagan, and Rob. She loved her big sister. And here’s the real proof of her ability to love. She loved the Moore boys. How strong a woman does that show us?!? She loved everybody she knew. We say that about other people. But Ms. Cindy really loved people. She enjoyed people because she loved people. That’s Ms. Cindy’s obituary to me. Her life well lived is my memory of her. That’s one other, very important thing I have in my memories of Ms. Cindy. I want to go back to that passage Paul wrote to Timothy. That’s what I read earlier. But there is a little more to verse 11. Verse 11 ends like this. Here’s the number one memory I have of Ms. Cindy. It is the obituary she would want most to be known. Ms. Cindy trusted in the Lord. Because she knew Jesus would rescue her from it all. And on January 18, 2019, He did just that. She is with her Jesus right now. Remember life was sometimes hard for Ms. Cindy, too. She trusted in a Savior who will save. Save us from our pain. Save us to enjoy Him.